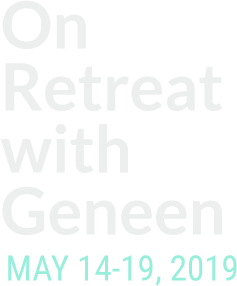 Two small weekend groups with Geneen that are only open to retreat students. Monthly group phone calls and morning meditation calls with Geneen or the co-teachers. Phone small group sessions with one of the co-teachers for personalized support. A peer support system with retreat participants encouraged to remain in contact with each other through calling or email. Returning to retreats to continue the exploration of your relationship with food as the path to almost everything. Half of the students at the retreat are returning students. Using their relationship with food as the path to everything that matters has become an essential part of their life practice.